Rex Burkhead is about to hit free agency for the first time. Will he be back in Cincinnati? 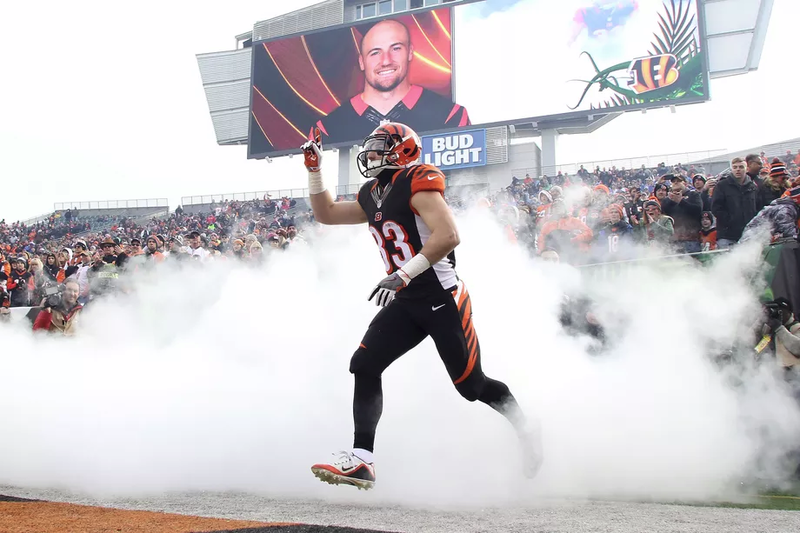 Rex Burkhead rarely saw the field on offense during his first four years with the Bengals, and he may have played his last snap in the Queen City on Sunday. If so, he went out with a bang, as Burkhead carried Cincinnati to a 27-10 win over Baltimore. He finished the game with a career-high 119 rushing yards on 27 carries (4.4 yard per carry average) and two touchdowns. He added two catches for 25 yards as he was the driving force behind what was just the third time the Bengals scored 27-plus points this season. But with Cincinnati already having Jeremy Hill and Giovani Bernard under contract next year, it's not certain the Bengals will re-sign Burkhead this offseason, especially with guys like Dre Kirkpatrick, Kevin Zeitler and Andrew Whitworth hitting free agency. The latter would actually like to keep blocking for Burkhead going forward. "He proved today, man, he can run the football. I'd take him as a No. 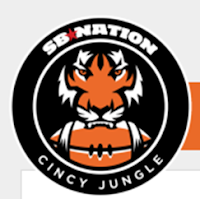 1 any day of the week," Whitworth told Bengals.com. "I don't think there's too many teams where he wouldn't fit. He runs the ball well. He's got great agility. He's got eyes, he's got it all. The whole team has wanted him to get his opportunity and see what he does. Especially the defensive players because they know what Rex used to do to them. He's a talented kid." Head coach Marvin Lewis also said re-signing Burkhead was something the Bengals want to do this offseason. "There is no question. We always like our guys (in free agency)," Lewis said. "As far as hard work, Rex is the epitome and what he does all the time and the professionalism." Burkhead himself hasn't thought too much about his impending free agency. He's just happy he finally got a chance to show what he's made of. As it stands, Burkhead will be one of the more intriguing free agent running backs this offseason. He has very little wear and tear on his body, but has been very productive with what little playing time he got this season. One would think teams in need of running backs will offer Burkhead a nice one-year deal that pays him like a starter or high-priced backup. Plenty of NFL teams pay their No. 2 backs good money. Just look at the Bengals who are paying Bernard more than $4 million annually. This season, Burkhead tallied 344 yards and 2 touchdowns on 74 rushing attempts, averaging an impressive 4.64 yards per carry. Comparatively, Jeremy Hill notched 839 yards on 222 attempts with 9 touchdowns, good for a 3.8 yard per carry average. Takeaway Hill's two best games against the 1-15 Browns, and his stats are far less impressive and his yard per carry average falls to 2.97. That’s essentially unacceptable for an NFL starting running back. 27 of Burkhead's 47 rushing attempts this season came on Sunday; it's really a shame the bulk of his carries came in a meaningless game and that the Bengals didn’t utilize his talent when it mattered more for the season. But with Bernard recovering from an ACL tear and Hill having his worst season as pro while hitting a contract year in 2017, re-signing Burkhead is something the Bengals will try to get done. We just probably won't know how it turns out until after free agency starts in March and Burkhead tests out the waters on the open market.